Beautiful, beautiful is the perfect word to define the tour we had. Eli was the guide that took us with a map throughout the area of the viewpoint of Barcelona, we visited Montjuic the part where the Olympic games of the year 92′ were made and it was incredible. I recommend visiting the Miramar Restaurant with a spectacular view towards the sea. The best tour I had in many years. With only three available hours to visit the city and wishing to see everything possible, we ask at BornBike Tours Barcelona, if organizing a private tour for three people in Italian was possible. A perfect organization, disposition and patience which adapted to our necessities and requests. An absolutely honest and affordable price for all the pockets. To a great extent, the merit is for Jordi, our guide. Grazie Giorgio! It could seem a promotional message, but we enjoyed it very much! I rent a bicycle for some days and I received an excellence service, personally from Ernest. This man is a poet and a philosopher from the streets, a troubadour of the history, with a warm and personal service, he never let you go without knowing, in an excellent way, all the things that you can do and where you can go by bike in Barcelona, it is like a personal instruction at every place, with stories of the near and far history of the beautiful Barcelona. This is only a little show of all the flattering comments that people gift us since we start the business. We hope that the translation does justice to what they wanted to express. We only can say that the thanks are for you, because without these great clients we couldn’t work at easy. Another initiative which has been added to the promotion of the bicycle as the common means of transport in the city. 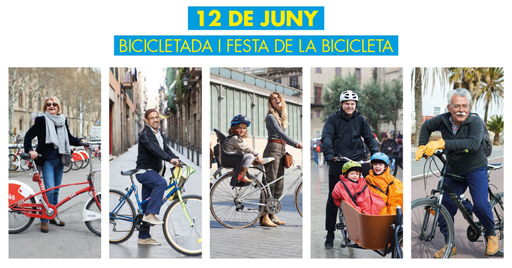 This Sunday, 12th of June, the Bicycle Festivity in Barcelona, a popular celebration open to everyone, and perfect for every member of the family, will take place. 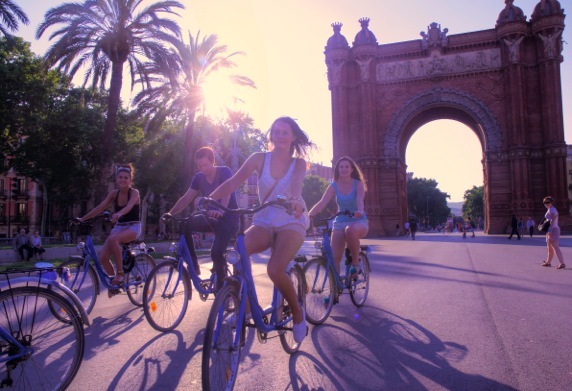 This Popular Pedaling will suppose 10km through the district of the Eixample, with the starting point at 9.30 a.m. in the Aragó Street, at the crossing with Balmes Street, and it will go through key points of the city as: Plaça Espanya, Avinguda Paral·lel, Ronda Sant Pau, Plaça Catalunya, Passeig Lluis Companys (Arc de Triomf), etc. ending at the Plaça de les Glòries with a great fiesta full of activities for everyone. In addition, this event pretends to be totally accessible to everyone. For this reason it will be a service of adaptable bicycles for people with reduced mobility. The only thing which is required, in order to get an easier organization, is that each person who wants to participate, sign up through the application form published at the City Hall web. If you are near Barcelona, you should not miss this year’s event! 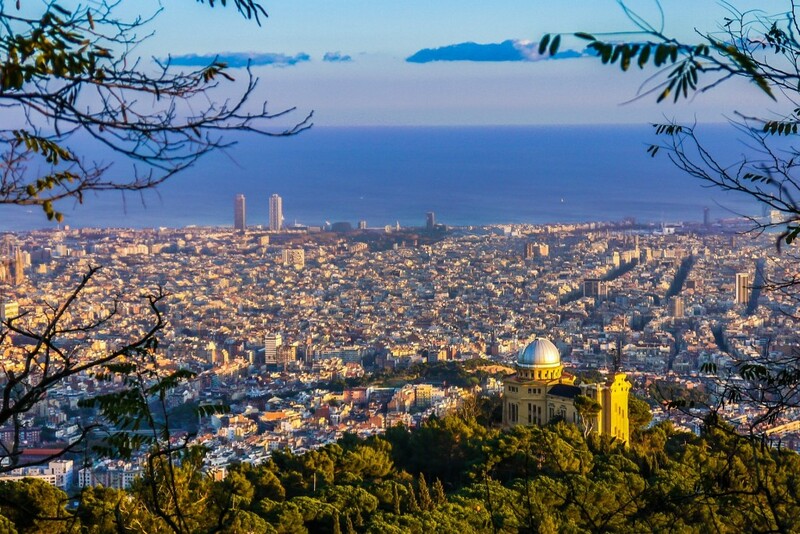 From the sea to the mountain, through the beach of the Barceloneta, the Ciutadella Park, Montjuïc, and stopping at the Laribal Gardens, going down and then up again to the Horta Labyrinth and the Park Güell, in order to go to look for peace and tranquillity in the great Natural Park of Collserola. Although we can find innumerable buildings in Barcelona, it has achieved to conserve these places of gardens and green zones. The Boqueria, Sant Antoni Market, Santa Catarina, Concepció, Ninot, Barceloneta, Lliberat, Sants, Galvany, the Encants, or many other ones! We will find all kind of local products and, we will also get to know the architectonic works which constituted many of them. 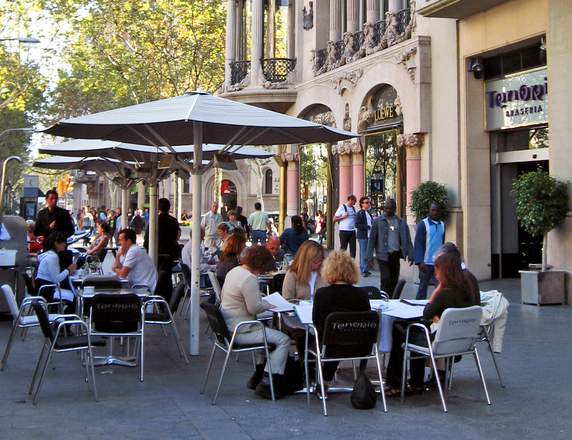 Barcelona provides the most authentic tastes of the sea and the mountain in the most typical appetizers. At the port zone we have the freshest shellfish and fish, and as we enter the city, we can find the most traditional tidbits of meat and cold meat. From Gothic to Modernism, two historic eras which have left a trace in a lot of the Barcelona buildings, even though the great edifications are not the only testimonies. Taking a walk through the streets of Barcelona, especially through the Ciutat Vella district, we can find a lot of unknown corners which bring us closer to the previous life of the city. Any one of the former tours can be combined with the bicycle. If we want to arrive at all the destinations, it will be the best means of transport to arrive quickly and without missing a detail. 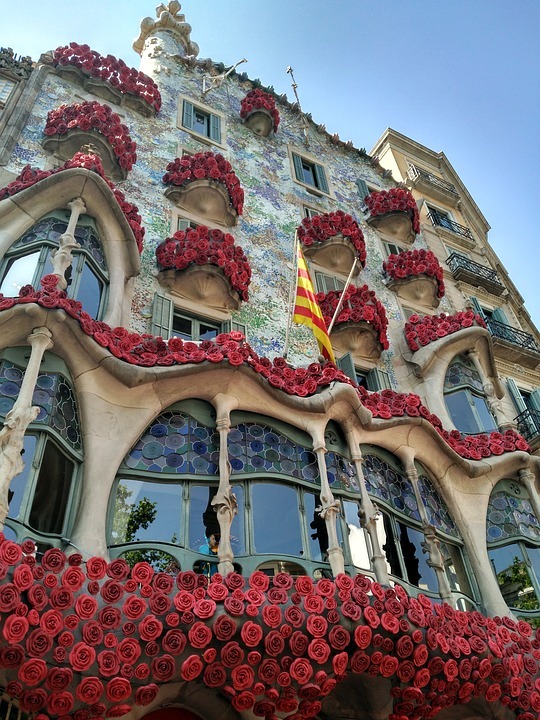 You cannot miss these 4 incredible places… Enjoy the parks and gardens in Barcelona! Take the bicycle and go around the spring-like green places before the mosquitoes attack you! With a perfect access for bicycles, this is one of our favorite places, situated in the district of Ciutat Vella. This park has 17 hectares, which were declared a historic monument in 1951. This is because in the same park you can find buildings from the 19th century which are in perfect condition and statues as singular as the Mammoth that was made in real size. You also have to take a walk around the gardens, through the earthen pathways. And what if we get tired of pedaling? We can row for a while in the lake of the park. These gardens are situated in the district of Sants-Montjuic and we can get there on bicycle, but we’ll have to park it at the entrance. This place rounds up all the peace that we sometimes cannot find in other parts of the big city. It is composed of a series of terraces that communicate through pathways and stairs, which will take us through the native and exotic vegetation and through a great diversity of ponds and waterfalls. 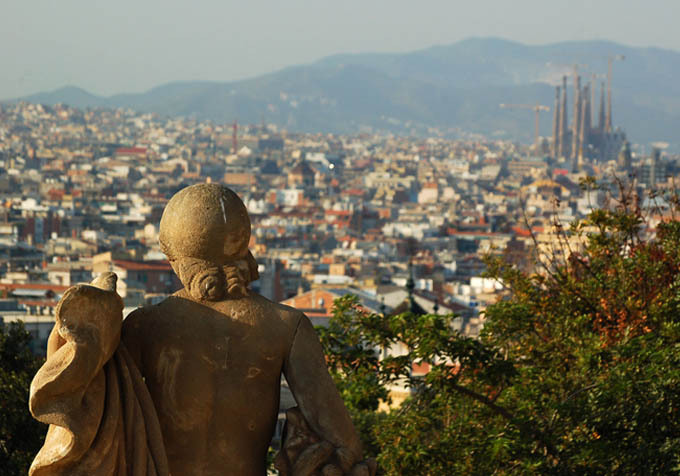 And finally, we will arrive at the famous Font del Gat, an incredible fountain situated at the exact point for observing the views of Barcelona. But if you need a place for meditating, the best you can do is lose yourself in this labyrinth in the district of Horta-Guinardó. You will be helped by its wild plants, its fountains and its streams, which form the oldest park of the city 18th century. You will be able to sit beside mythological characters like Eros who, as a statue, will be waiting for you in the middle of the garden; or you will also be able to enter and inspire yourself in the pavilion dedicated to the muses. At the last stop, in contrast to all the life in these gardens, you will find a false cemetery, but keep calm, there are no more gravestones. In order to get to this park you will have to pedal with all your strength until you arrive at the outskirts of the city. But once there, the whole nature, country houses, hermitages, fountains, swamps and streams will compensate your effort. 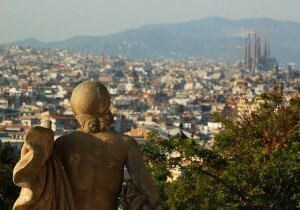 And you can always rest or have a picnic while you observe all the little movements of Barcelona. *And remember: please take care of the environment and ride the bicycle only within the indicated zones. Enjoy these surroundings and get to love them like we have!